We asked coaches at the 2018 Hockey Coaches Conference to share their favourite drills with us so we could pass them on to you! 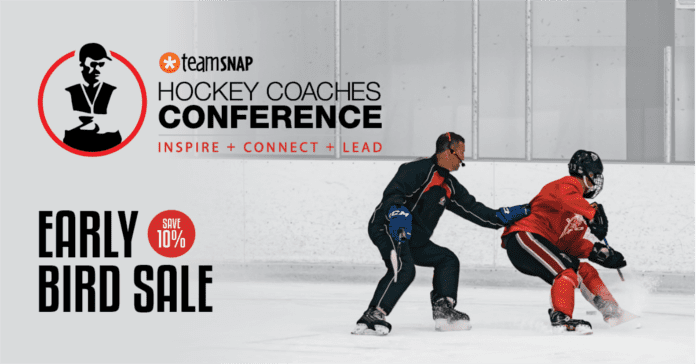 Together, we created the Hockey Coaches Conference Drill eBook to give you the opportunity to learn from your peers and top professionals in the sport. With key lessons taught in the conference, coach collaboration and 40+ drills at your disposal, our Drill Book is a sure-fire way to grow your knowledge in the game! In collaboration with CoachThem, The Coaches Site is offering an exclusive promotion to grow your coaching tool box and help get you fully equipped for the upcoming season. Don’t miss out on this opportunity to access these exclusive drills for FREE ! If your goal is to be a better coach then consider becoming a TCS member. You’ll receive access to some of the top coaches and performance experts in the game today. If you’re serious about becoming the best coach you can be then this membership is for YOU!